Welcome to Makeup Datasets, datasets of female face images assembled for studying the impact of makeup on face recognition. 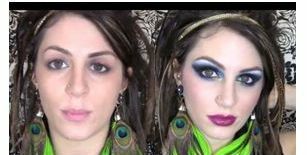 YMU (YouTube Makeup): face images of subjects were obtained from YouTube video makeup tutorials. We also provide the YouTube URLs. VMU (Virtual Makeup): face images of Caucasian female subjects in the FRGC repository (http://www.nist.gov/itl/iad/ig/frgc.cfm) were synthetically modified to simulate the application of makeup. A publicly available software (www.taaz.com) was used to perform this alteration. 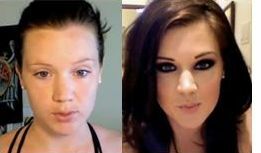 MIW (Makeup in the "wild"): face images of subjects with and without makeup were obtained from the internet. 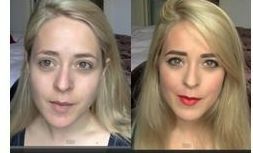 MIFS (Makeup Induced Face Spoofing): face images of subjects were obtained from YouTube video makeup tutorials and face images of associated target subjects from the internet. A. Dantcheva, C. Chen, A. Ross, "Can Facial Cosmetics Affect the Matching Accuracy of Face Recognition Systems?," Proc. of 5th IEEE International Conference on Biometrics: Theory, Applications and Systems (BTAS), (Washington DC, USA), September 2012. C. Chen, A. Dantcheva, A. Ross, "Automatic Facial Makeup Detection with Application in Face Recognition," Proc. of 6th IAPR International Conference on Biometrics (ICB), (Madrid, Spain), June 2013. C. Chen, A. Dantcheva, T. Swearingen, A. Ross, "Spoofing Faces Using Makeup: An Investigative Study," Proc. of 3rd IEEE International Conference on Identity, Security and Behavior Analysis (ISBA), (New Delhi, India), February 2017. Reason for the dataset download. We are requesting this information in order to offer updates or to contact you if we organize a related workshop. We will respond to your email and will send you the download details. C. Chen, A. Dantcheva, A. Ross, "An Ensemble of Patch-based Subspaces for Makeup-Robust Face Recognition," Information Fusion Journal, Vol. 32, pp. 80 - 92, November 2016.